Today saw the first of our Celebrate Recovery series. A group of ten of us met, some of of us meeting each other for the first time, we look forward to this group building and growing as we set out to see lives changed by the Word of God and by the power of the Holy Spirit. This is set to continue every Saturday for the next six months and then we believe after that it will become a permanent part of the life of St. Gabriel's. Why not join us, we are here every Saturday from 1 - 3pm. Last Sunday saw us have an all age worship service where adults and children come together to here Dave bring the message from John 15:9-18 Click here and how we are called to love one another but this is only possible if we remain in Christ's love. This Sunday 31st Jan. There will be no service at St. Gabriel's but instead we will be joining with St Cleopas and St Philemons at St Philemons on Admiral Street (opposite the Police station.) From 1030am. We will be having our APCM where we get to hear a reflection on the year past and we will be electing new people for various church offices so its important we have as many there as possible. Rev. David Gavin will be bringing the word. Our Celebrate Recovery group starts this Saturday from 1-3pm, please pray for this important outreach and for the team involved in leading it. The Mural in our basement continues to take shape thanks to the hard work and talent of our volunteer artist, Thomas. 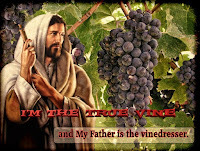 "I am the true vine". and where Jesus encourages us to "Remain in Him". We saw the importance of how we have to live a life listening, following and being obedient to the teachings of Jesus and the fruitfulness this will bring to our lives. We welcomed Stewart for the first time. Stewart, originally from Scotland, is now living locally in Toxteth. The morning service was quieter than usual with Messy Church being in the afternoon. Messy Church is where parents, carers and children come to share in crafts, games, singing and a Bible story before Pizza and cake. A great time was had by all as we heard of Jesus as a baby in the Temple being received by Simeon and Anna who, after a long wait, finally got to see the promise of God to them. Sixtyeight adults and children attended and we look forward to doing it again next month. 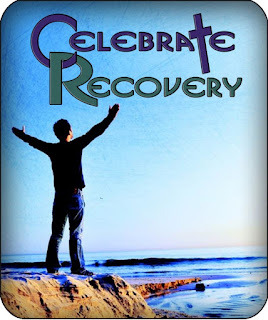 Celebrate Recovery – St. Gabriel’s ‘Do you want to get well?’ John 5 v 6. No matter where we are in life now chances are we have suffered from or are still suffering from ‘Hurts, Habits or Hang-ups.’ Celebrate Recovery is a place to come together share our journeys and start a new journey together, a journey of hope and love, centred on the ultimate story of hope and love, the teachings of Jesus Christ. It's a place for real people with real issues and real testimonies of their recovery a recovery that is there for everybody. Come and be transformed and live the new life God has planned for you. Here at St Gabriel's church our aim is to serve the community with the love of Jesus Christ. We also have made good contacts with the local community police who drop in, and with local groups like Slimming World and Network Rail whos generosity at Christmas enabled us to give out food parcles and presents to people in the local community who we were aware of having a need but would not approach a foodbank directly. (The elderly) It was much appreciated by those who received it, and they were so blessed that someone had thought about them, particularly at this time of year.